On the way home from work the day before I noticed that the "check engine" light came on. So today (yesterday, because I am a day late) I drove Malida's car to work. I forgot that her car doesn't have a faculty parking sticker, so I had to get a temporary pass from the campus police department. Easy. We had our third exam, and it went well technically. A few students seemed a little stunned, but pretty much everyone did fairly well. This is the first exam with only clinical content, so it take a bit more critical thinking. I still marvel at how much simpler it is to do exams on this platform than the old one. After the exam, my 4th semester colleague and I were discussing a student issue in our cubicle, where we have no privacy. I had decided to take a particular approach to the issue, and was discussing it with her. A nosy colleague from around the corner poked her head in, and informed us that she had overheard what we were discussing, and told us that "in our semester, we don't do it that way". I looked up at her and replied, "this isn't your semester." She replied with, "well I'm bringing it up in the next faculty meeting." Ok, then. We need a cone of silence. After work I stopped at the store to pick up some lobster tails that were on sale. 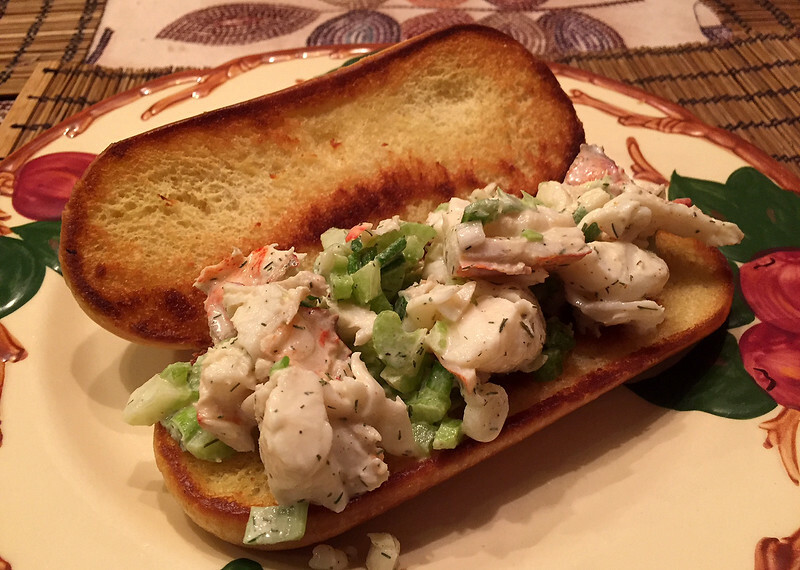 My plan was to make a lobster salad sandwich. I steamed the tails in my electric pressure cooker (The Instant Pot), put them in an ice bath, then chopped them up. I added some green onion, celery, some seasonings, some mayonnaise (I hate mayonnaise, but it is essential), and some lemon juice. I mixed it up and put it on a grilled roll. It was so delicious! Hopefully this satisfies my long-running lobster craving. I need to go to the east coast one day and eat my fill.